April 2019 - Qualsafe.com is an official UK supplier for the Practi-MAN Manikin! 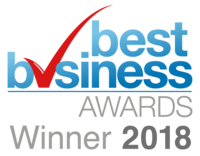 December 2018 - Qualsafe voted the UK's Best Business (SME) 2018 by the Best Business Awards! October 2018 - Introducing our new Paediatric First Aid Quiz Card Game! October 2018 - Show your support to add first aid and CPR to the National School Curriculum in England! October 2018 - Introducing the New Little Junior QCPR Manikin! May 2018 - Introducing our new Food Safety Quiz Card Game! Feb 2018 - Introducing the new Little Anne QCPR Manikin! Nov 2017 - Tickets Now on Sale for the Qualsafe Conference 2018! July 2017 - Guidance on Choking - it has not changed!